Purchase includes the Sigma Trail Guide A/T tire only. The wheel rim shown in the picture is not included. Picture provided is a stock picture from the manufacturer and may or may not reflect the actual product being ordered. 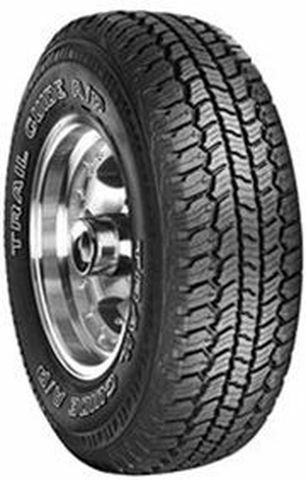 All Sigma Trail Guide A/T tires are continuously developing with manufactured improvements. With that said, Simple Tire and the manufacturers have the right to change these tire specifications at any time without notice or obligation. Please Note: Specifications of the Sigma Trail Guide A/T tires shown above are listed to be as accurate as possible based on the information provided to us by Sigma tires. Just my opinion, but I found the value hard to beat. These are a great off-road/winter tire! Dry road cornering is out the window when they're new as the lugs are quite tall and my truck is heavy. All in all a great tire. I'll let y'all know what kind of miles I get out of them on my '16 Ram 2500. By submitting a review, each person received a sweepstakes entry. Put these on a 03 suburban. Have put 36000 miles on tires. About 40% tread left. Tires have seen a lot of rough gravel roads and highway as well as snow and mud. I Will definitely be getting these tires again. Great value for the price. By submitting a review, each person received a sweepstakes entry. I only had this Tire for five months. Every thing noted above is true. I only punched two tires because I needed to front tires. I liked the new tires so much I can't wait to perched two more for the rear tires. By submitting a review, each person received a sweepstakes entry.